.308 Winchester Mixed Lot Steel Cased Ammo With Ammocan! 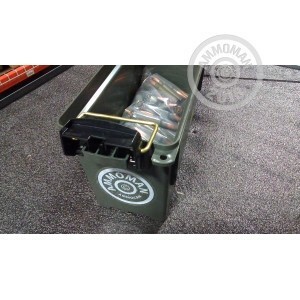 You'll receive 7 Pounds (Approximately 150 Rounds) of mixed lot, steel cased .308 Winchester Ammo, loose packed in a reusable 30 Cal Ammocan. All lots will contain a unique mix of range and hunting rifle ammo, in a number of different bullet weights, from a variety of manufacturers. These are loose-packed rounds and because of it, we cannot guarantee specific round counts. Please know, we have done our best to provide a conservative estimate about what to expect with this ammo.